Industrial Age ships are marked by a distinct technology, steam power. The first steamships in Australia were paddle-steamers. 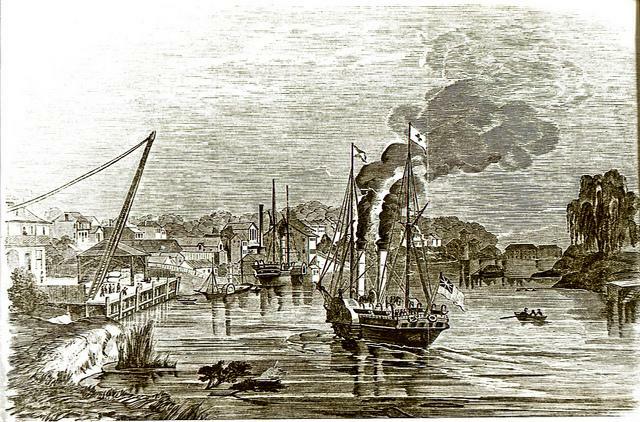 Shipping at Morpeth in 1860. From the Bert Lovett Collection, University of Newcastle, Cultural Collections.